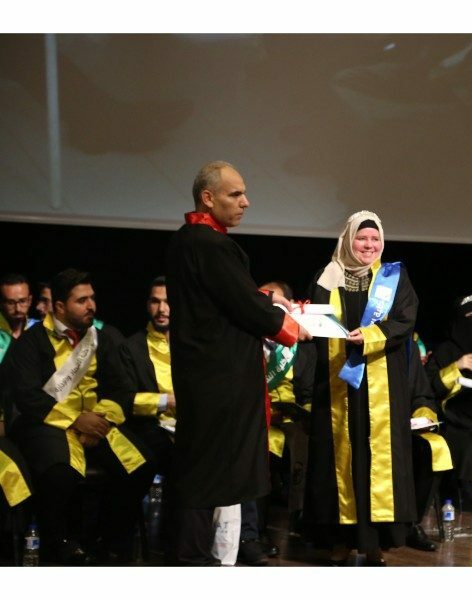 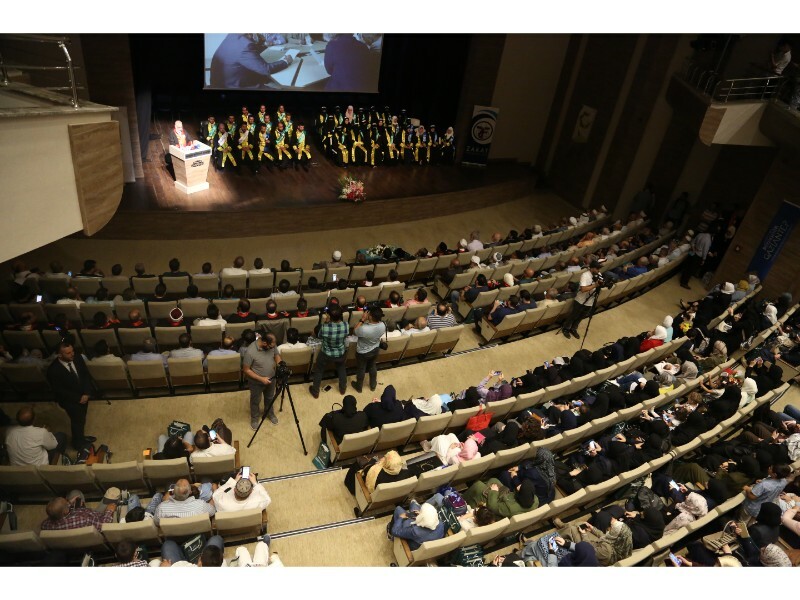 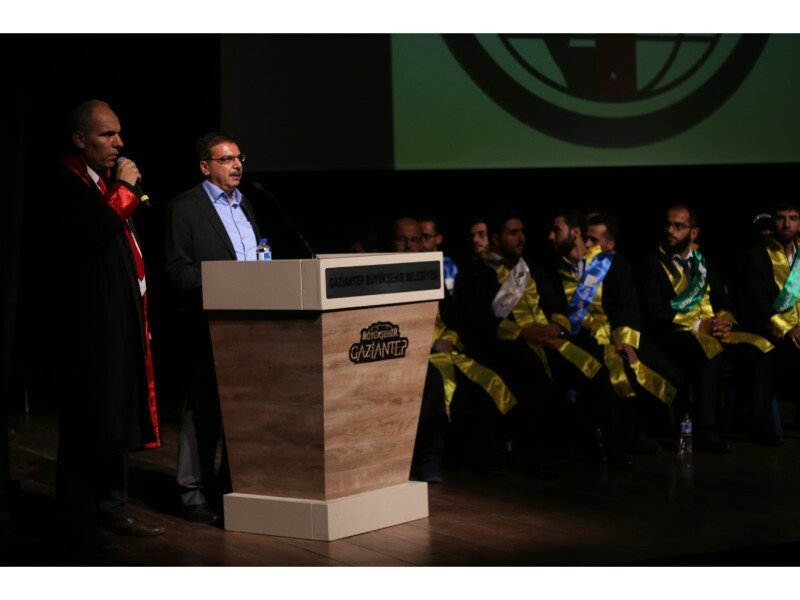 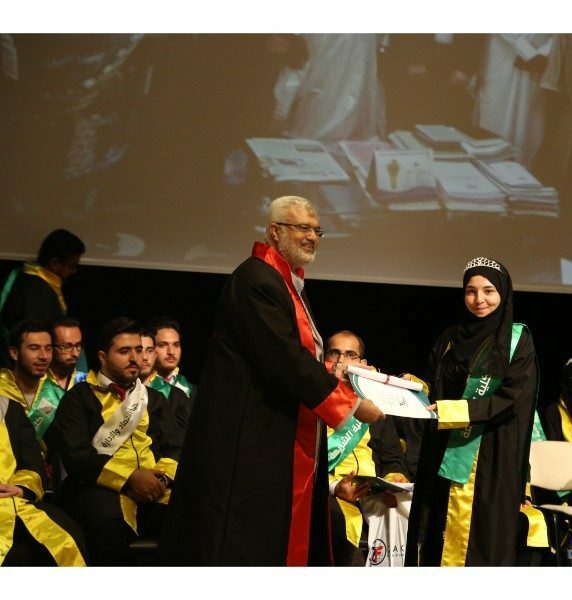 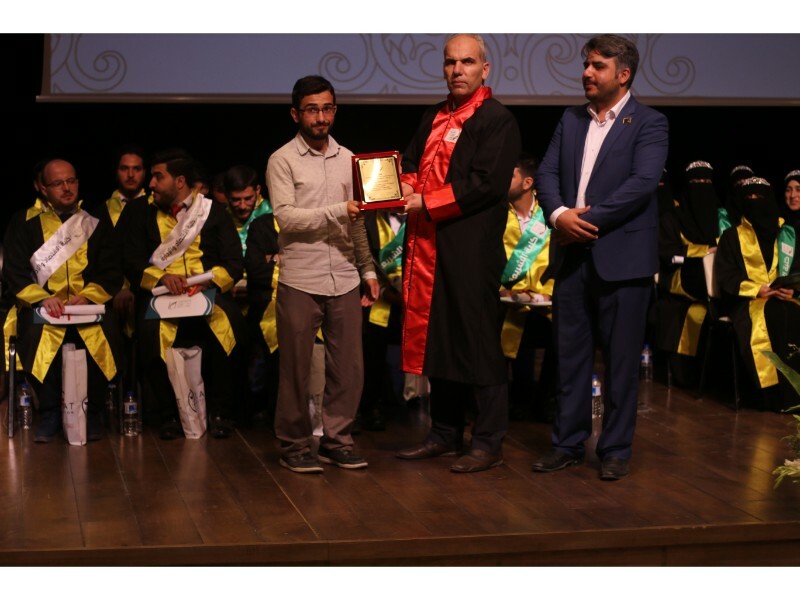 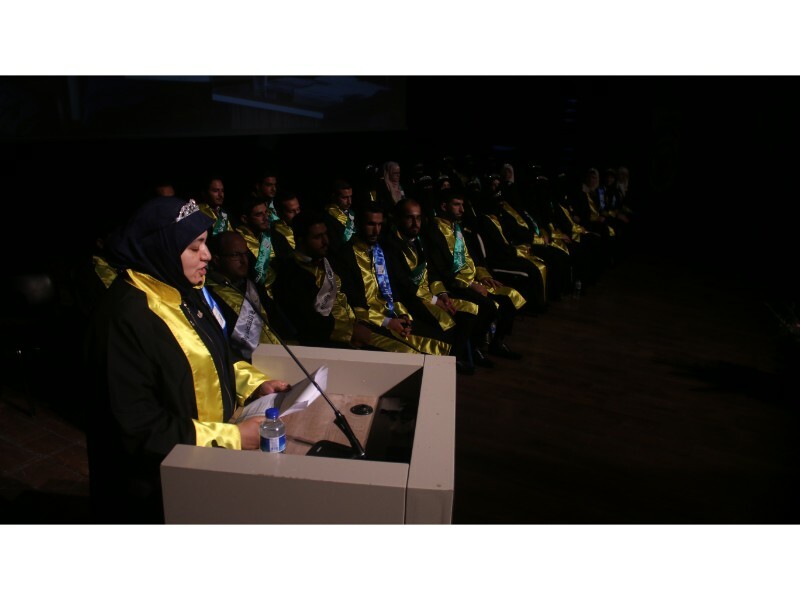 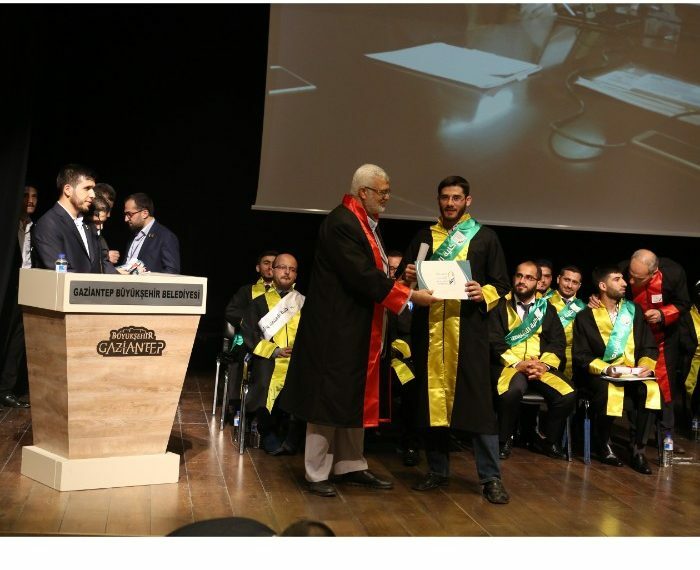 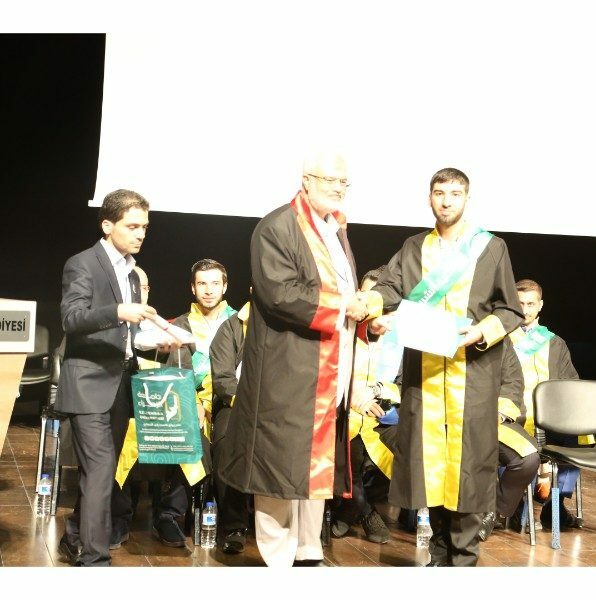 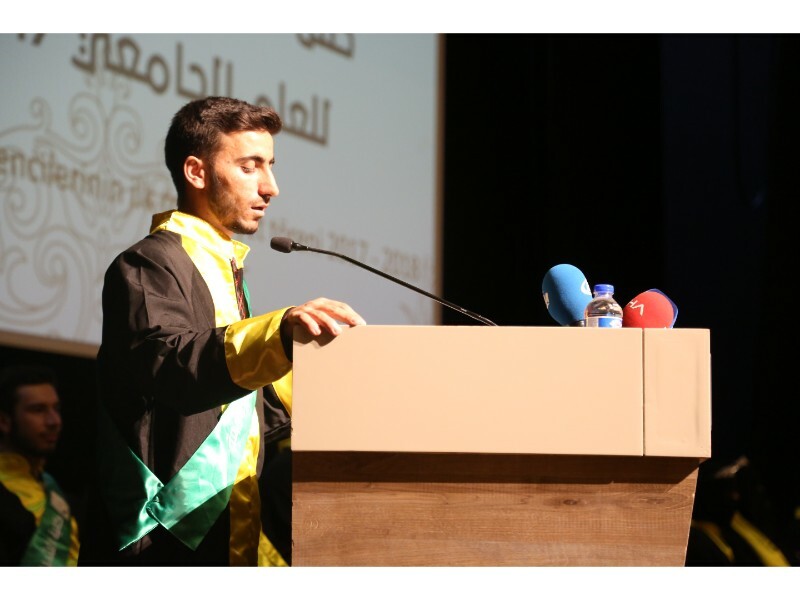 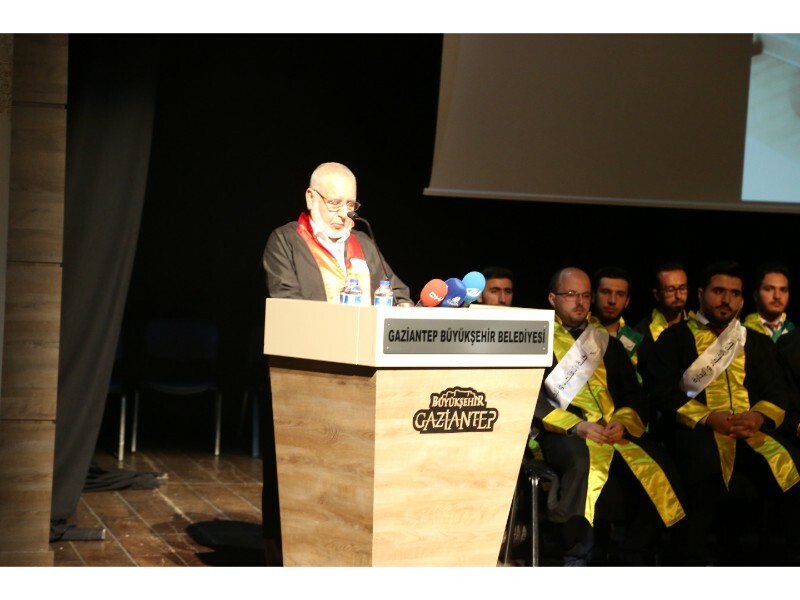 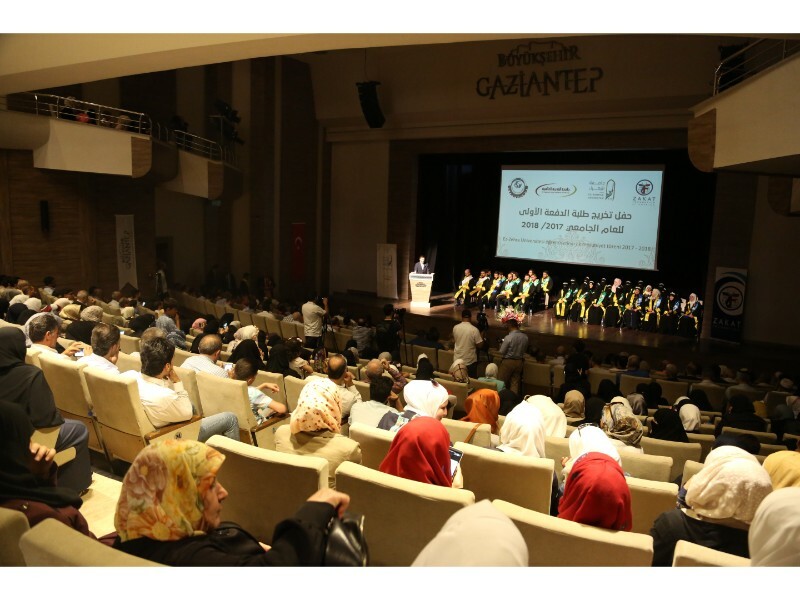 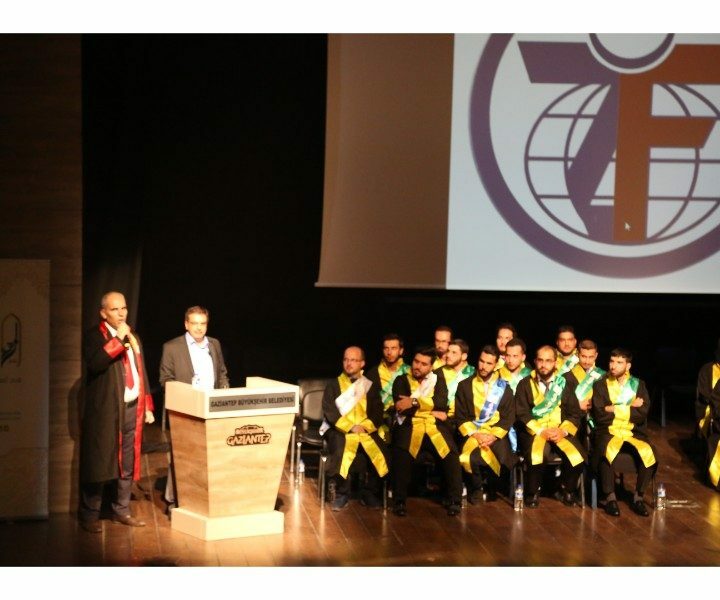 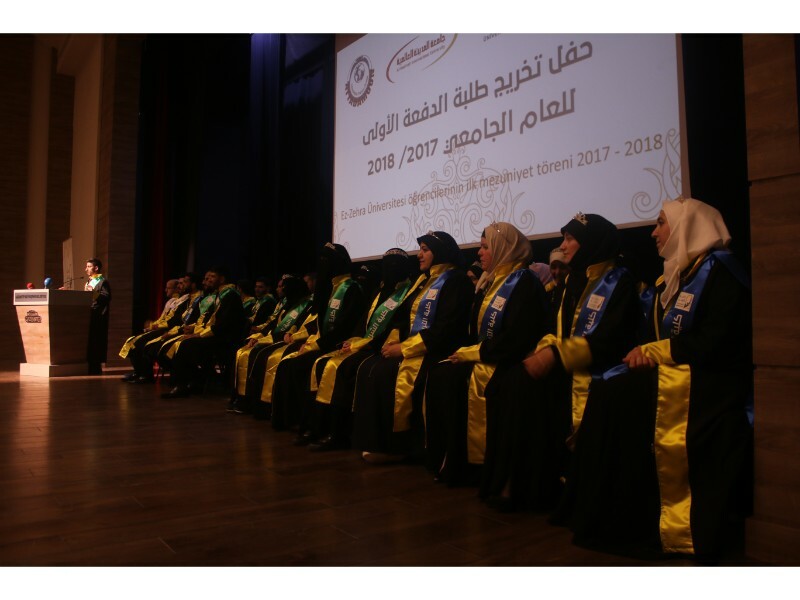 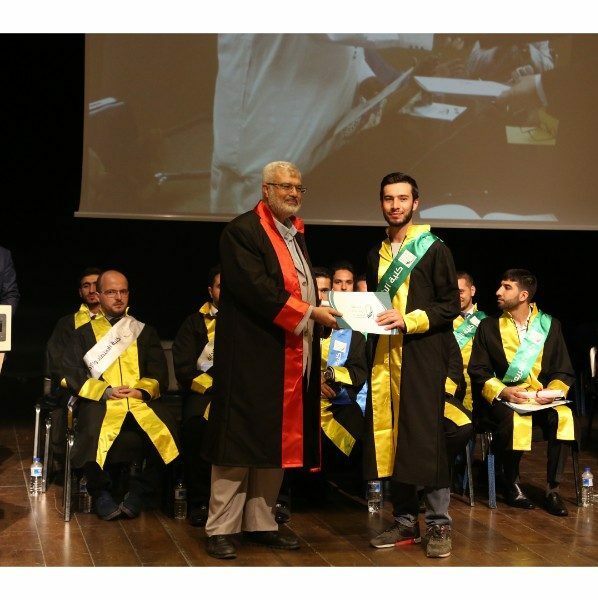 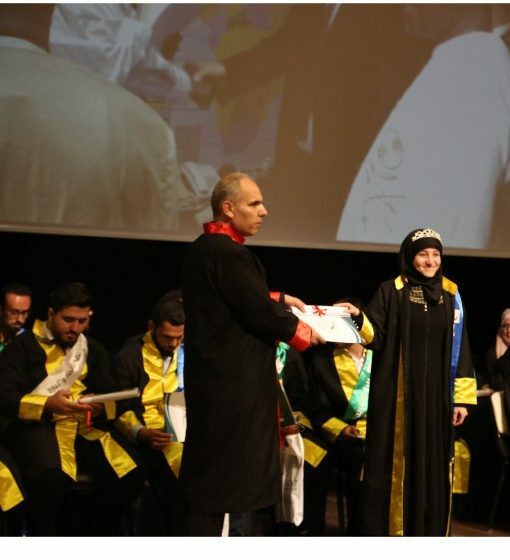 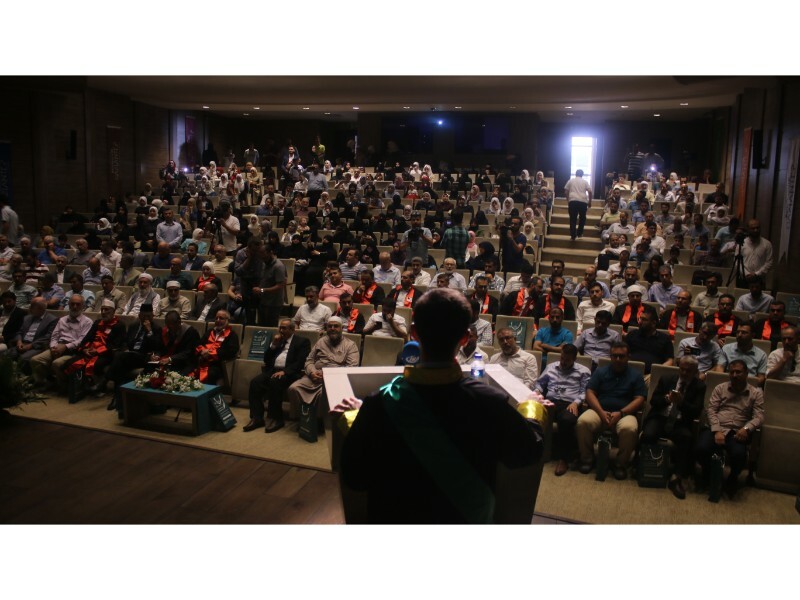 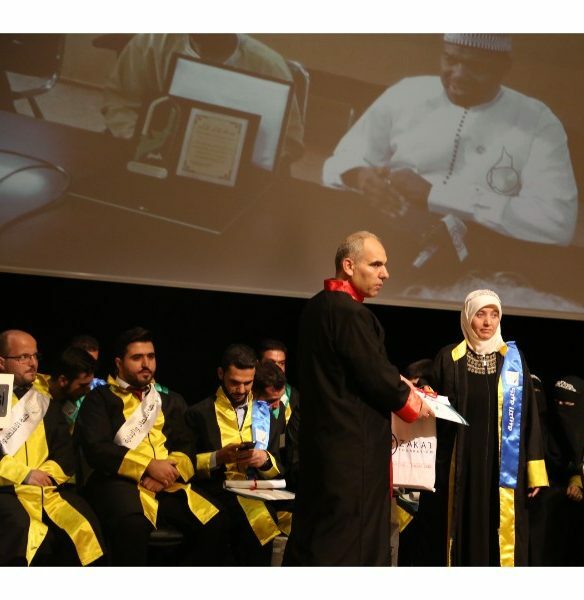 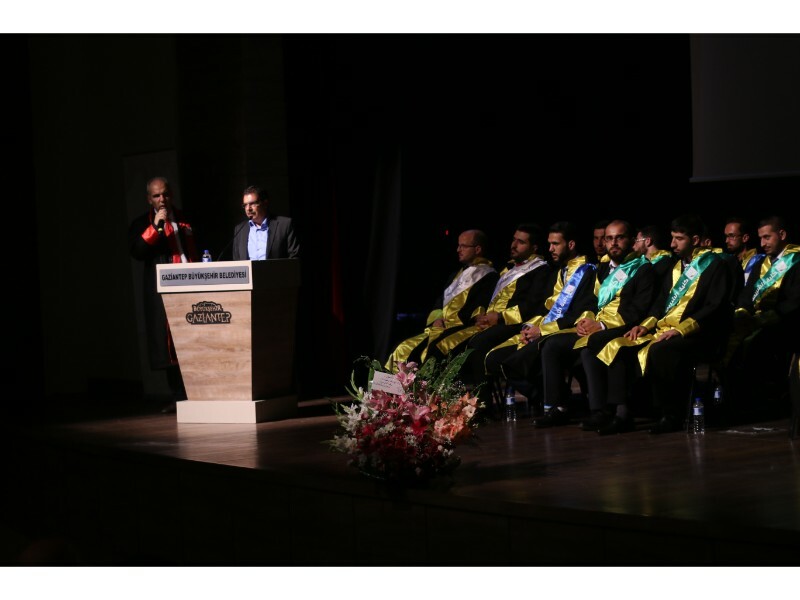 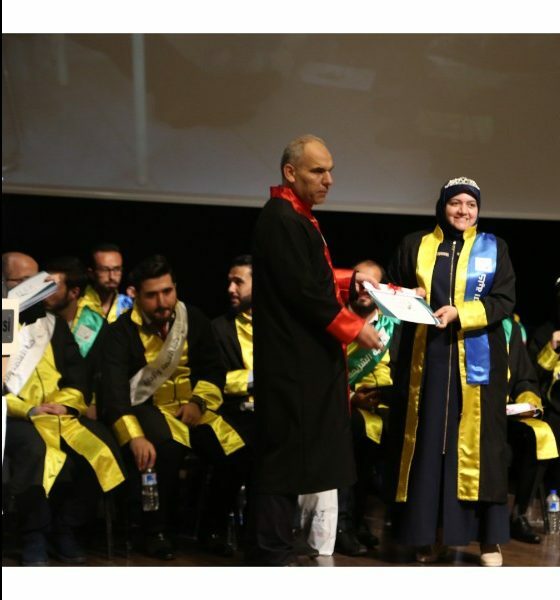 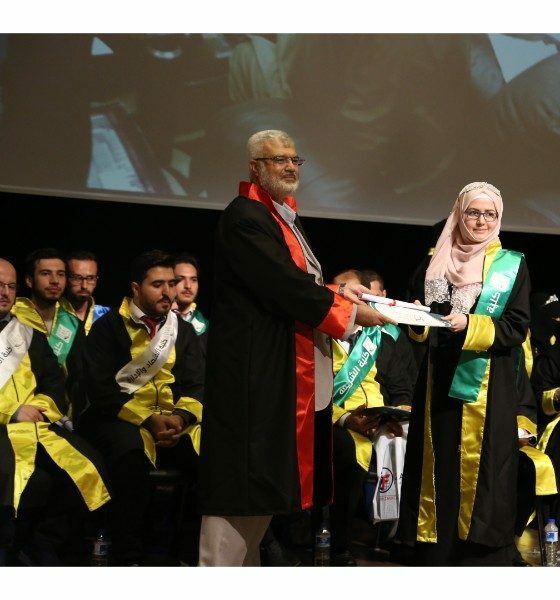 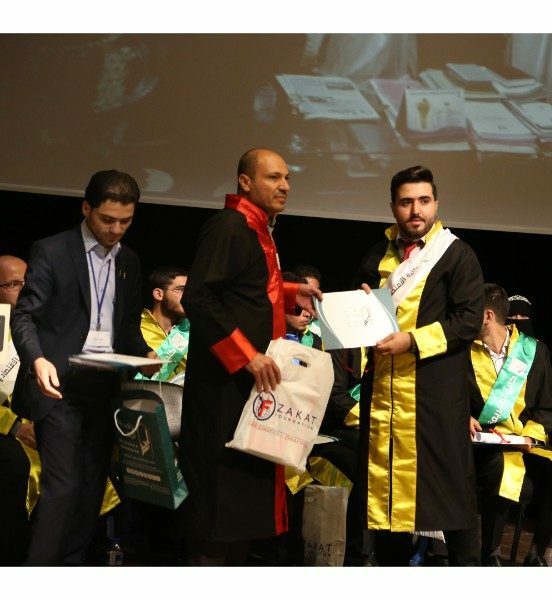 GAZIENTEP, Turkey – Zakat Foundation of America’s Zahraa University has graduated its first class of Syrian refugees. 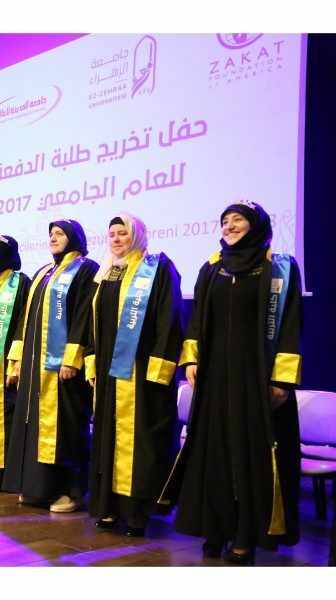 Its 35 bachelor’s degree recipients represent the culmination of nearly seven years of developing one of the first universities in the world dedicated to refugees. 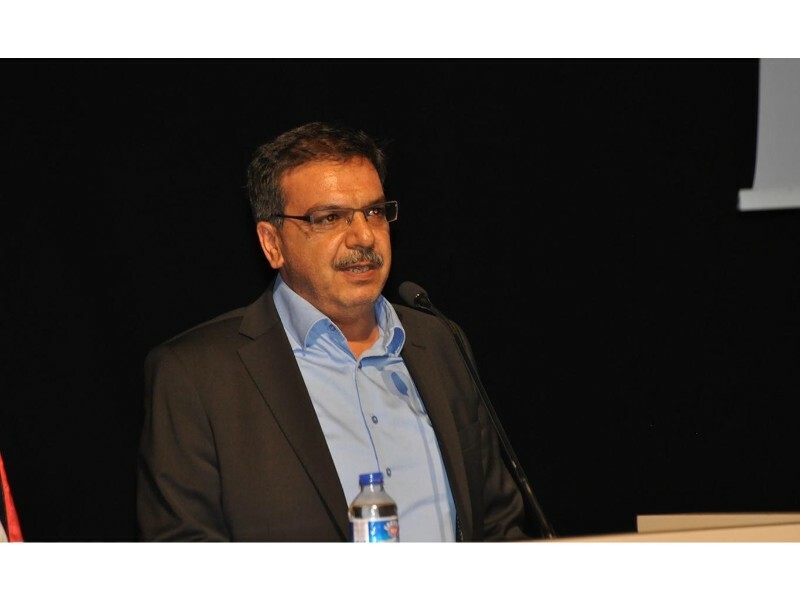 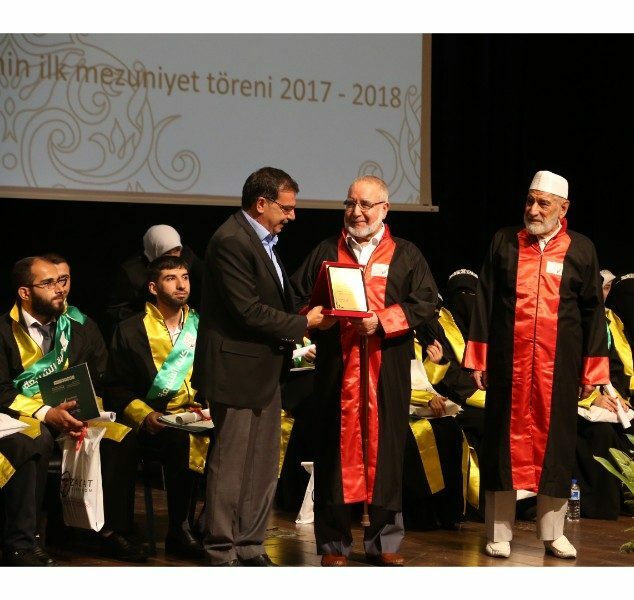 “We hold no project dearer than educating orphans and young victims of war,” said Halil Demir, Zakat Foundation’s executive director. 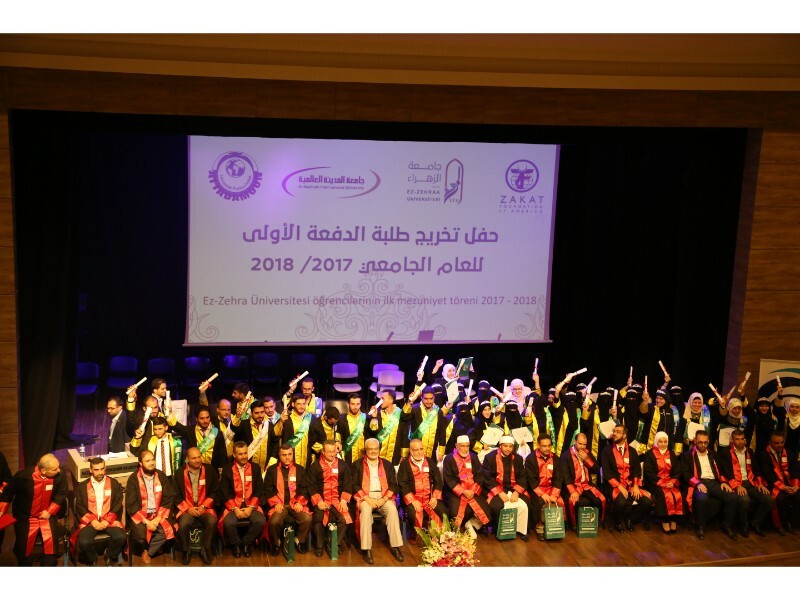 Zahraa has recently gained international academic accreditation, vital to its graduates’ careers. 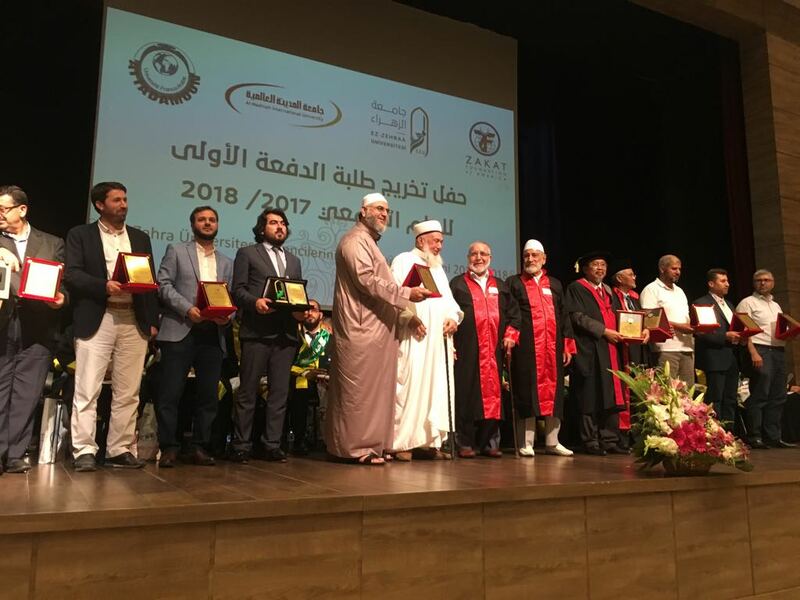 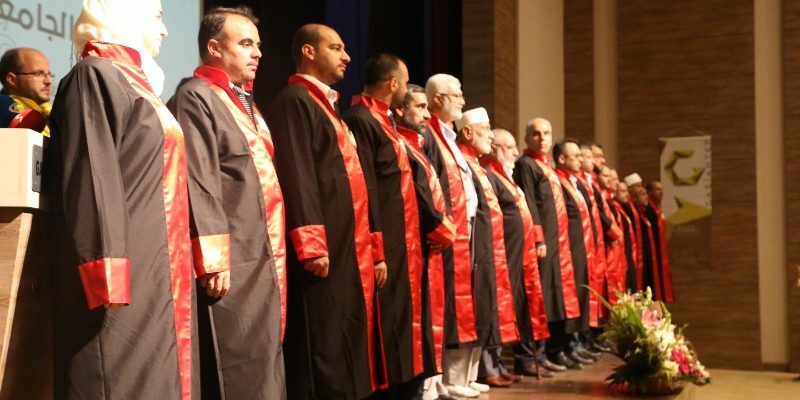 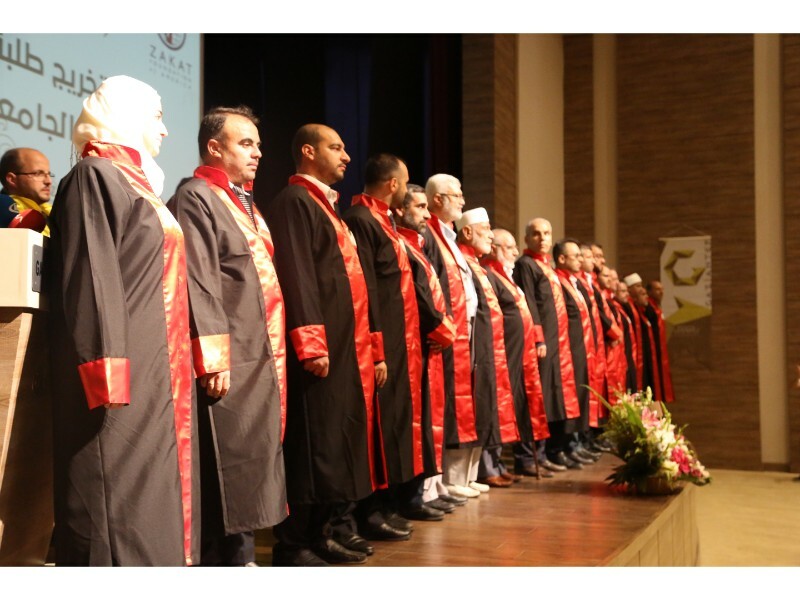 Dignitaries welcomed by University Vice President Bekir Mehmet Ali for the July 27 ceremony at Gaziantep’s Metropolitan Municipality Onat Kutlar Theatrical Building include: Professors Asmavi bin Zaim and Abdurrahim Halil from Malaysia’s International Al-Madinah University; and Drs. 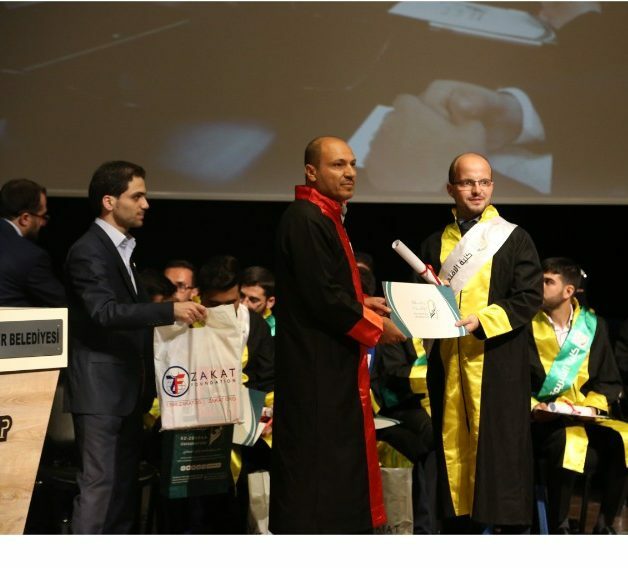 Muhammed Mustafa Osman of Al-Tadamun University, Niger, and Ferhan Meyga, Niger’s high education minister. 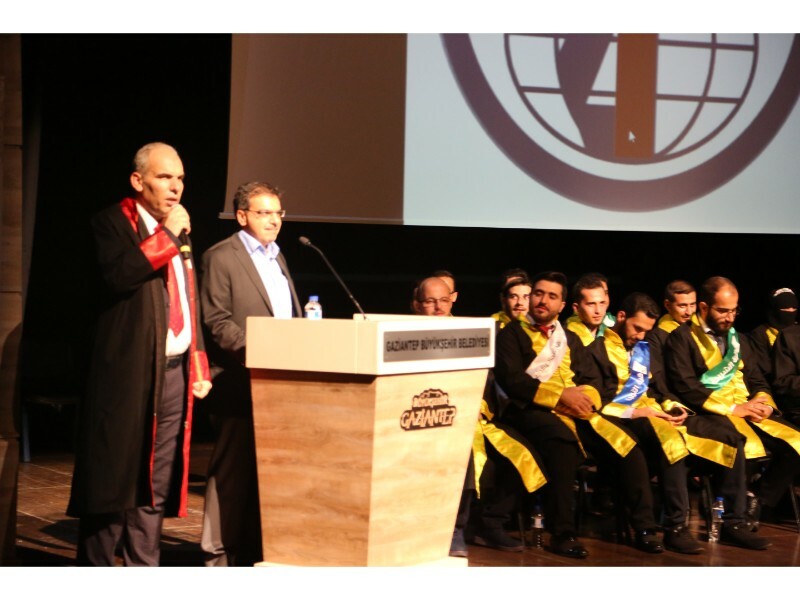 In addition, Gaziantep’s Mufti Muhammed Güneş and Branch President of Bir-Sen Education Union Ahmet Gök also attended. 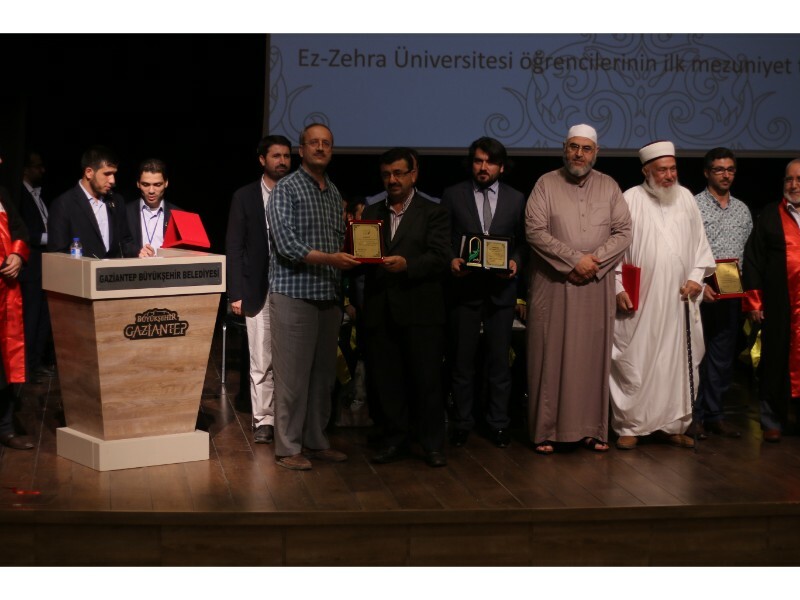 “We give first priority to education,” said Mehmet Demir, Zakat Foundation representative in Turkey.